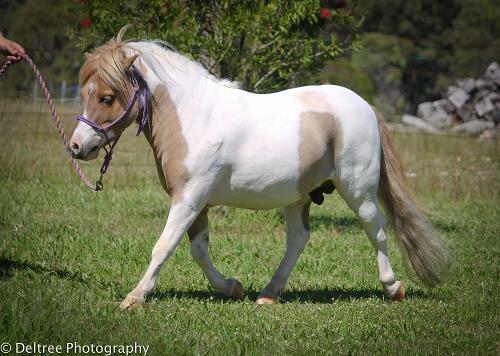 I first saw Apollo as a weanling colt at Ambaura Pony Stud whilst visiting with friends. I've always been a sucker for blue eyes and unusual markings and it was instant love, but he'd been sold, so we continued on our wander around the beautiful property. 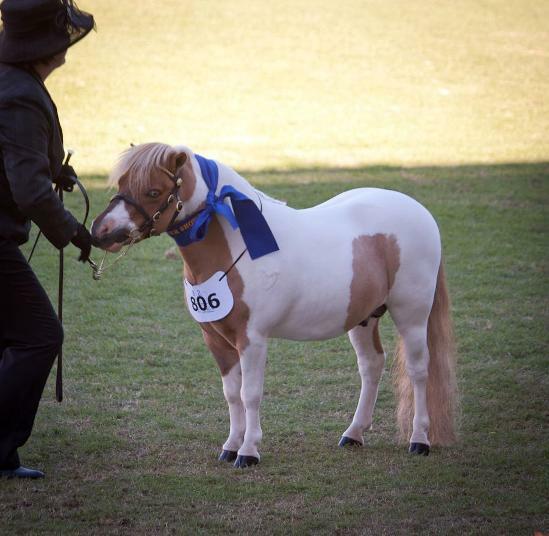 As a member on the yahoos miniature horse and pony group, months later I wound up meeting his new owner, who was selling him due to a change in direction, and of course I bought him instantly! 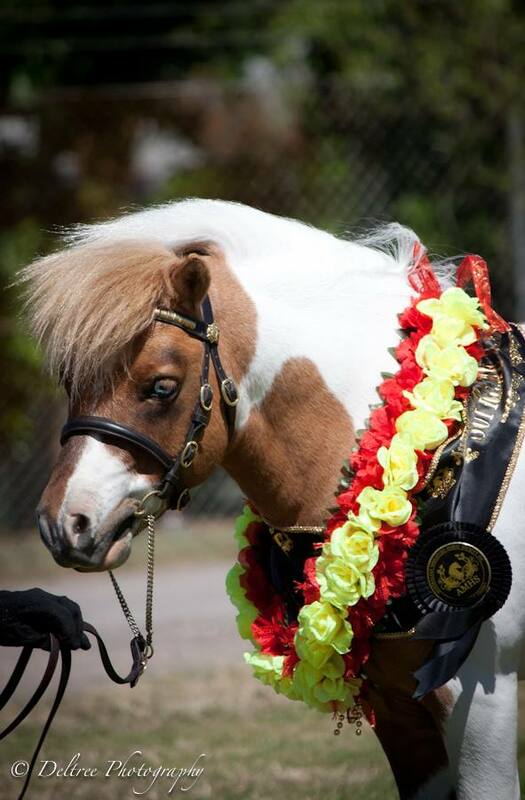 Apollo is the most beautiful natured pony to do anything with, and everyone who has seen him has loved him. 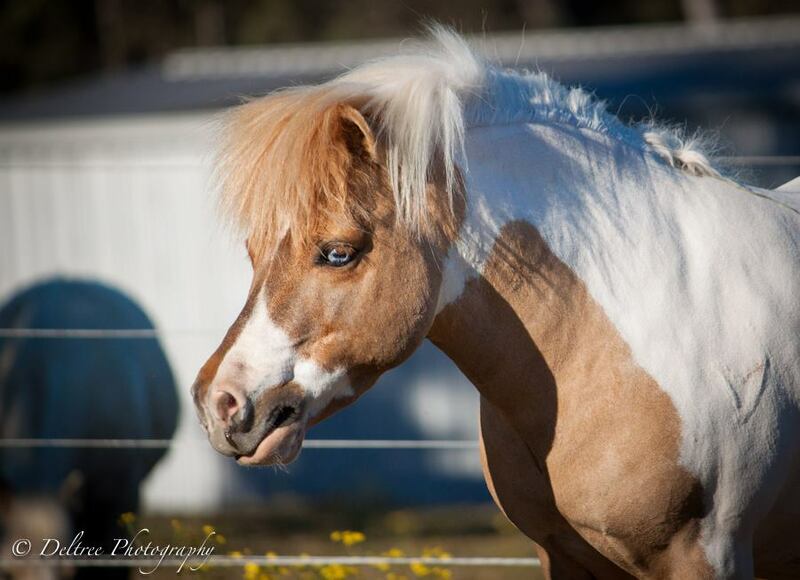 He stands out with his blue eye and baldy face, but his unusual colour makes him draw your eye also. 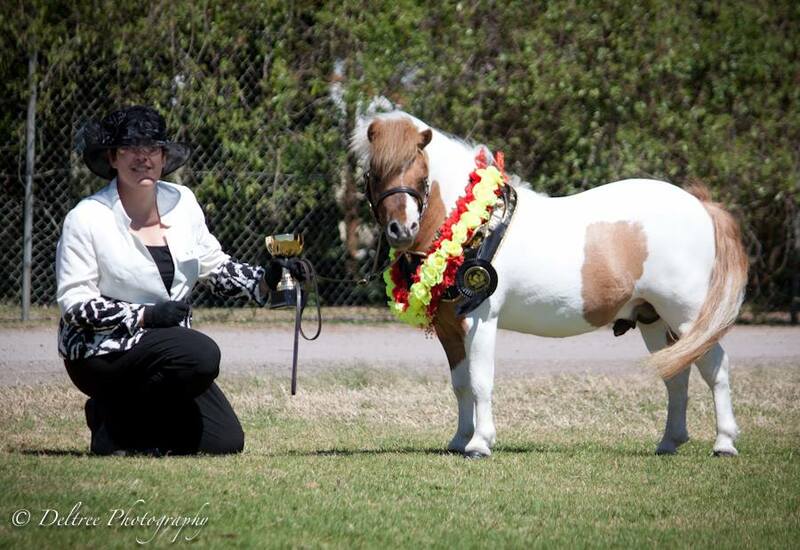 Right: Apollo at the 2013 AMHS Show taking out Champion Miniature Pony Stallion and Supreme Miniature Pony Exhibit! 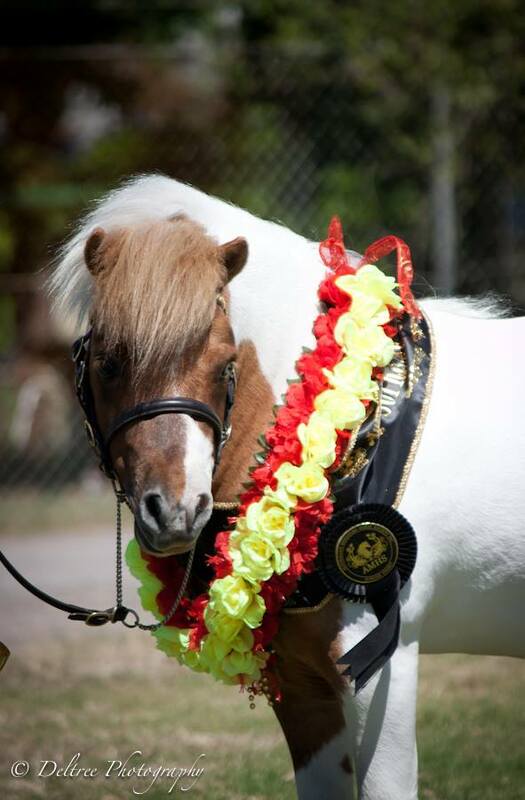 His daugher Deltree Arabella took out Reserve Champion Miniature Pony Mare/filly against much more mature mares too! 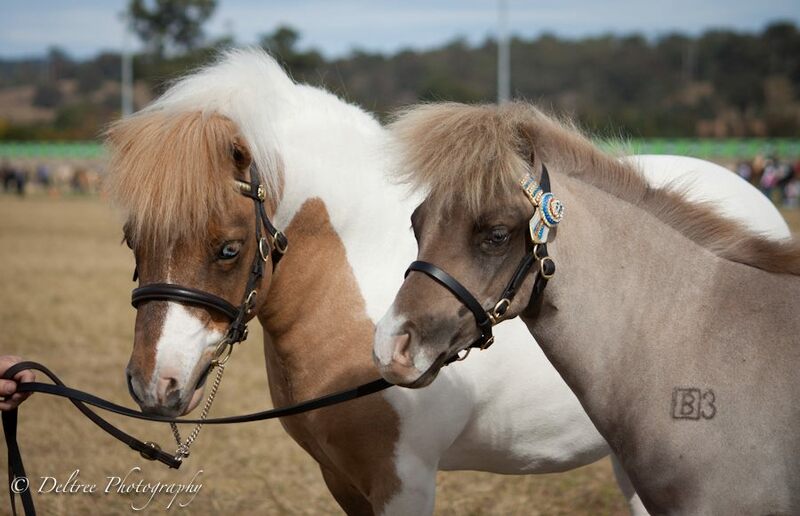 Right: Apollo and I at the 2012 Sydney Royal Show - where he won his class! 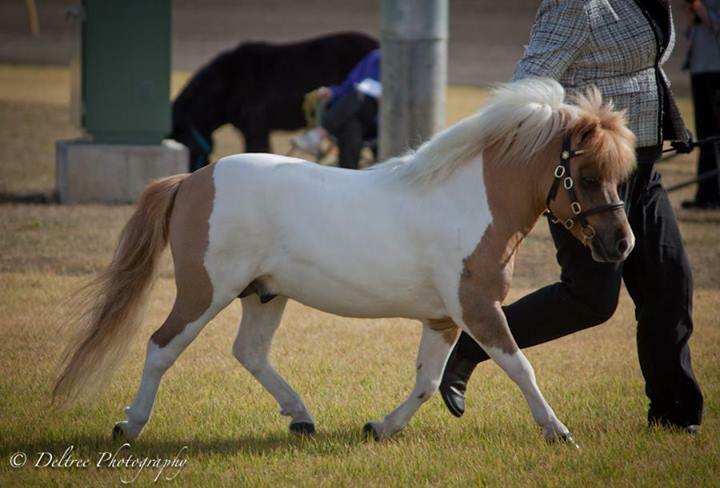 And of course, Apollo is a real character and so so playful! 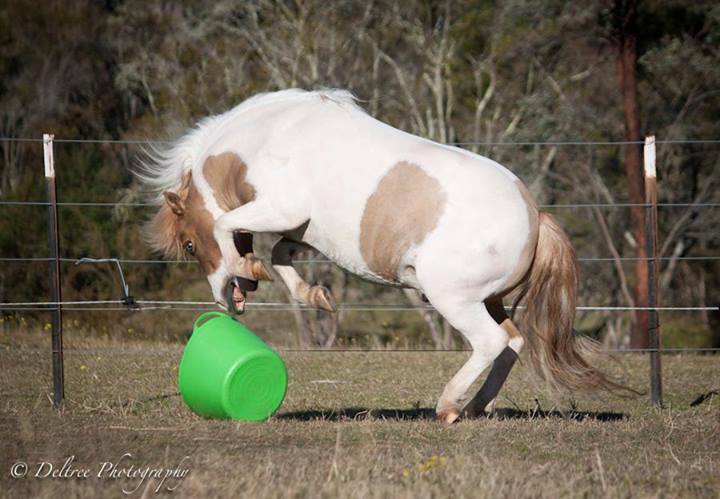 Here he is playing his favourite game "Kill the Bucket"! He makes me laugh EVERY day! 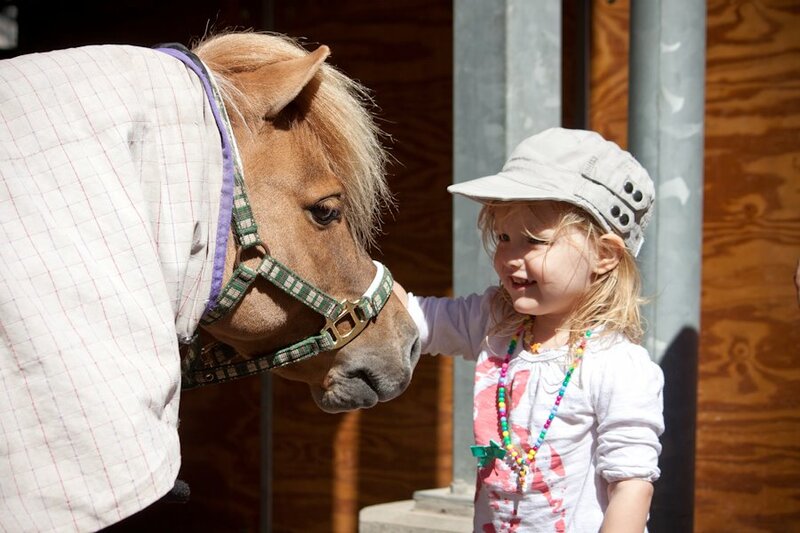 Right: Apollo and an admirer - taken before his class at Sydney Royal 2012. Countless kids wanted to pat him and have photos taken, and he was a patient gentleman, his trademark cheeky nature put in check for the day. 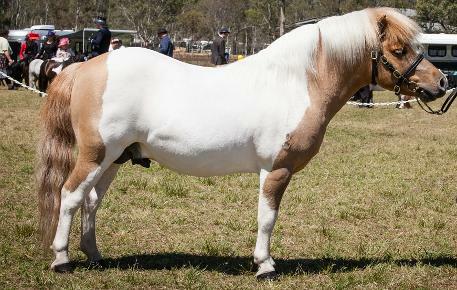 Right: Apollo at the 2011 Northern District's Feature Show where he was awarded Reserve Champion Junior Colt. 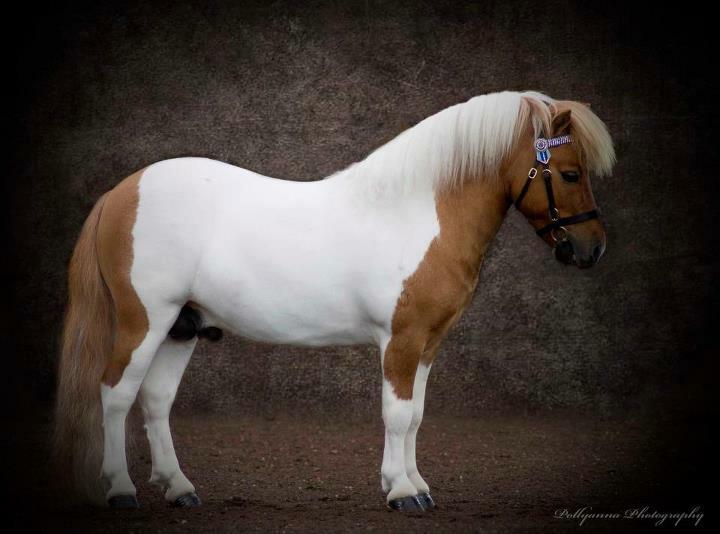 Apollo - Top 5 Stallion 4 to 8 years!